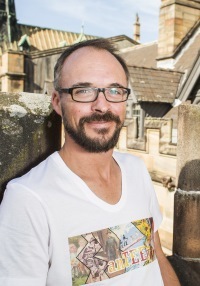 I'm a PhD candidate in the Department of History at the University of Sydney. I'm currently based in the Race and Ethnicity in the Global South Research Collaboration. My research interests include histories of youth, gender, welfare, education and disability. I have a keen interest in digital history and all things web. My dissertation is titled "Help Us/Help Them: How Australian parents understood the problem of mental retardation, and what they did about it, 1945-1970." It’s that time of year again. Abstract time. This year I’m (hoping) to go the Australian Historical Association Conference, conveniently being held at Sydney University, and the Australian and New Zealand Society for the History of Medicine Conference, being held the following week at ACU North Sydney. 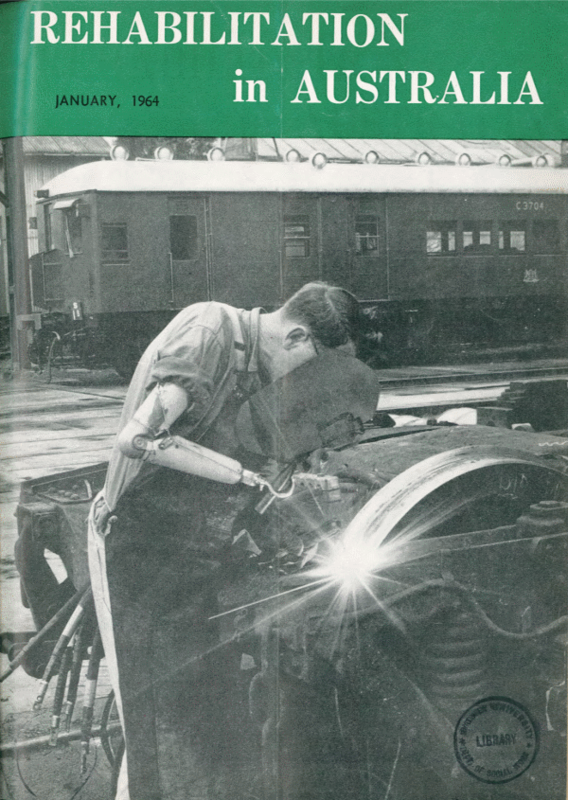 Mr. George Hudson was a fitter without welding experience when he lost an arm in a motor accident. Training in welding was arranged by the Railways Department and the rehabilitee returned to a higher graded position with Trade Union cooperation. So for the last week or so I’ve been helping my colleagues at the Race and Ethnicity in the Global South research collaborative put together some introduction videos for our blog and YouTube channel. It’s not too late to book tickets to “History and the Media,” a symposium being held as part of NSW History Week this year. bring[ing] together history professionals and media practitioners to communicate our mutual interests and exchange ideas, skills and visions for the future. Presenters include media professionals from television production companies, broadcasting and funding agencies, historians, radio producers, journalists, editors and social media specialists. I’m hosting a History Week event! Is a picture really worth a thousand words? Help decide over a cocktail in an award-winning small bar at this unique event. See (and hear) historians Matthew Allen, Hannah Forsyth, Dave Earl and Nick Irving discuss the context and creation of some captivating historical images. In just ten minutes, the speakers will delve into the histories of four fascinating, but largely unexplored subjects: Norman Lindsay’s women, the Vietnam moratoriums, the role of alcohol in Australian society, and the creation of farm colonies for “subnormal” boys and men.